Host a Class: Help us spread the LOVE of Reiki. Receive your Reiki class for free when you and three of your friends attend a Reiki class at your home (within the Sarasota area) or ours. Refer a person who becomes a student and you will receive a complementary 30-minute Reiki Session after the referral completes their initial training course. 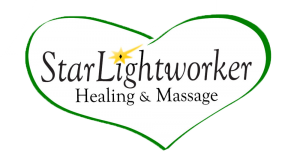 Massage and Energy Healing Referrals: Receive thirty minutes added to your Massage or Reiki Session after your referrals receive a total of any three services. The three services may come from one or more referrals. Each referral must be new to us.